Inspired by the continuing advocacy of #booksforthebarrios by my Pinoy friend in California, Monchit Arellano, I would occasionally bring some old books to a rice farming village in Brgy. Laguit Padilla, Bugallon, Pangasinan. 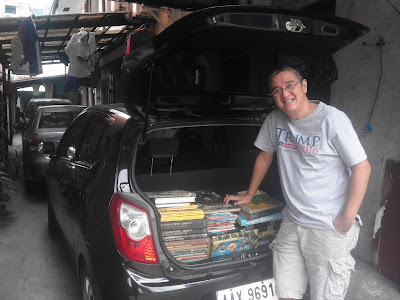 Here, my friend from UP, Jun Realica, delivered and donated many books from his house, for the barrio kids. We had few rounds of beer after stocking the books in our house. 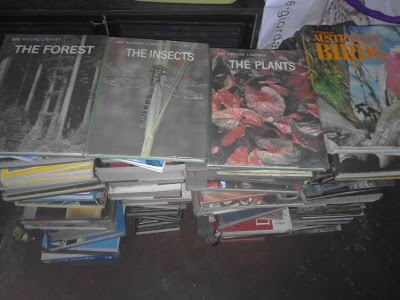 A public school teacher friend in Lingayen asked if she could get some books for her elementary students inside the classroom (not at the school library), I said yes. Jun is donating the books for free. But not all of these books to that school. I plan to have a small community library someday at our farm caretaker's house in that barrio, kids and adults can borrow and read the books for free, provided they don't tear the pages or lose the book. 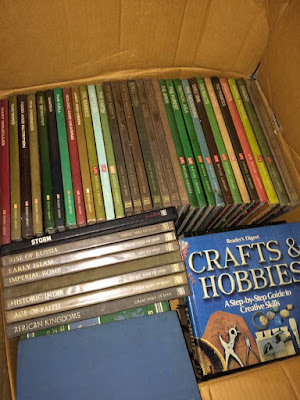 My 6 1/2 years old daughter checked the books donated by Jun, she liked some of them so she set them aside as "hers" temporarily, to be given away someday after she's done looking and reading at them. These four books at the top are among her chosen ones. Early this month, one of our neighbors donated his old encylopedia collection because he wanted the space occupied by the books, I said I can give them to the barrio kids in Pangasinan. So first weekend of March I brought the 20+ volumes, the barrio kids were happy. 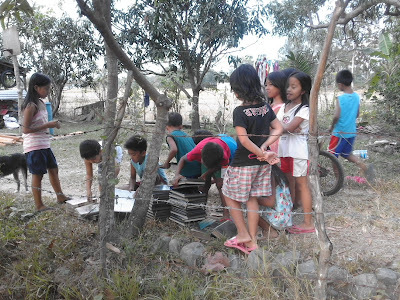 Here, just some of the kids in the immediate neighborhood. 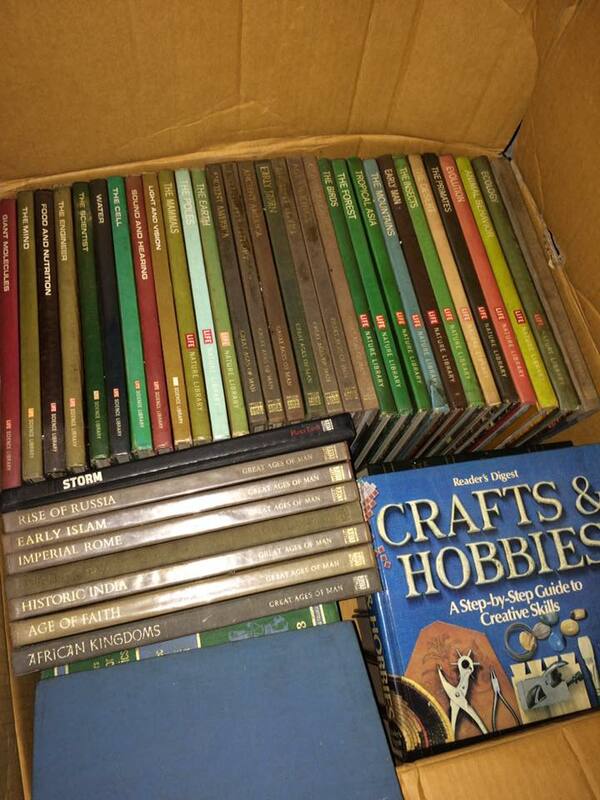 I turned over the books to the wife of our farm caretaker. She said that if the books are given to the public school, the kids will be shy to borrow. In their house, the kids, the neighbors can borrow anytime. Only one condition -- no pages will be torn or cut, keep the books clean so that more kids can borrow and read. 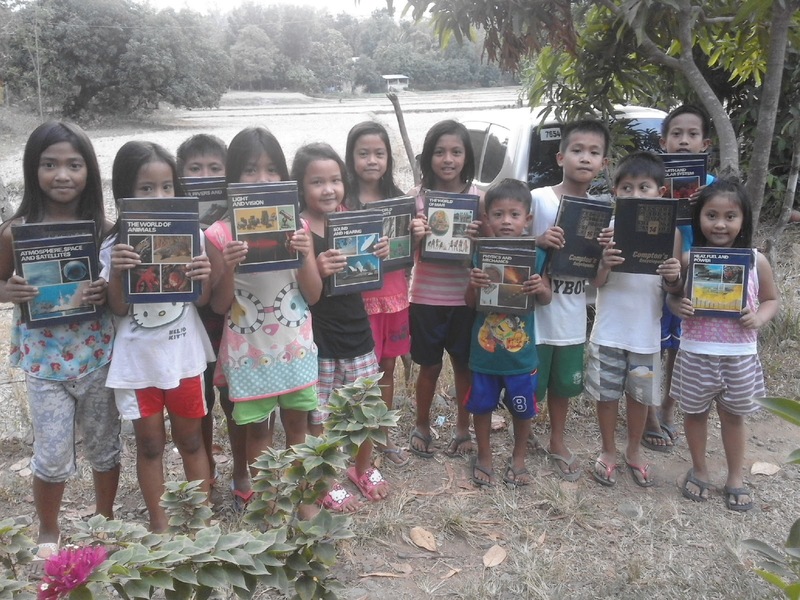 Initiatives like this, people donating books they do not need anymore, and there will be young and old minds in rural areas who will be more than willing to see and read them. Civil society in action, zero need for extra government offices and taxes to make these things work.